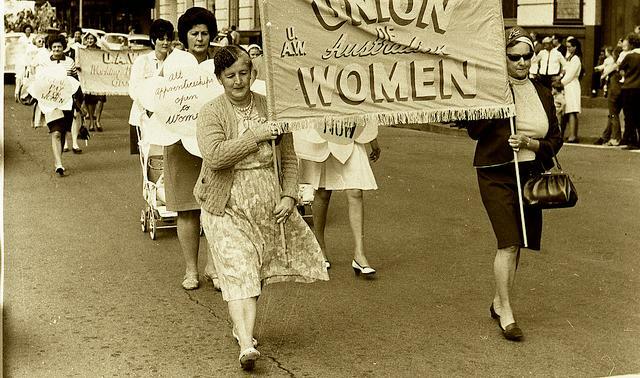 Union of Australian Women. Norm Barney Collection, University of Newcastle Cultural Collections. These interviews were given to Jack Delaney by women who lived in the Lower Hunter Valley coalfields. They give an insight into the lives of working families during the twentieth century. Vera Baus née Cagney, 1900-1984 - Cessnock resident. Recorded 17 October 1983. Christina Bridge, née Hawkins (1894-1988) Millfield and Cessnock resident. Recorded 4 November 1981. Irene Hamilton - Kearsley resident. Recorded 11 December 1984. Mary McMahon née Page (-1984) - Miner's wife. Recorded c. 1982. Dorothy Morgan née Ingall (1912-1986) - Millfield resident. Pearl Nichols née Sternbeck (1886-1982) - Murrays Run resident. Recorded 27 August 1980. Winifred Whalan - Bishop's Bridge Postmistress. Recorded 23 August 1995. Part 1/1.